Easy to use. 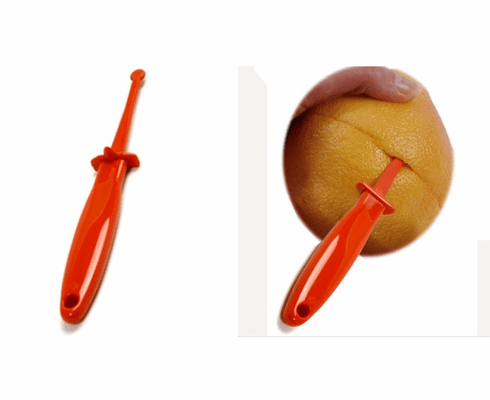 Using side cutter, slice peel around fruits center, rotating it around. Then gently insert blade between fruit and rind. Slowly turn fruit while working blade up to the top. Repeat on other half. Twist and remove ring. Made of durable plastic, 6.5"/16.5cm and instructions are included.